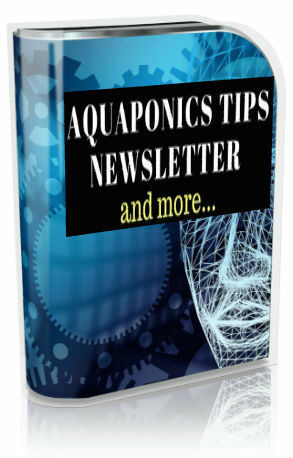 When deciding the type of aquaponics fish to grow, there are a few things you must keep in mind. For one, you need to decide whether you are growing them for food or just to run your aquaponics system. Certain countries or states in countries, put bans on particular fish species and make them illegal to be grown, so the next thing you need to do is check with your local University or AG extension office to identify what fish are banned and avoid those. There are many different types aquaponics fish, climate conditions and available supplies are two important points you need consider. 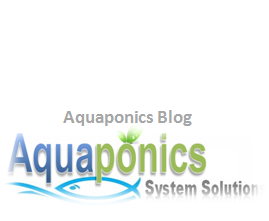 Trout and Tilapia is definitely the more popular specie in aquaponics. This is mainly due to them being hardy, grow fast and taste delicious. Trout is more suitable for colder geographical locations and Tilapia for hotter climates. 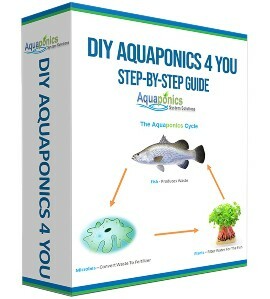 If you’re not into growing fish for food, gold fish, guppies, koi and betas are also suitable aquaponics fish depending on the scale of your system of course. The main concern here is the fish must produce sufficient excrement to be converted into nitrate for the plants to flourish (more “poo” = more nitrate). Tilapia is an extremely hardy species, they taste good and fast growing. Lives happily in temperatures between 74 – 78 degrees F. Grows to plate size in about 6 – 9 months (ideal conditions). Omnivorous and eats pellet fish, veggies from the system & duckweed and can be stocked in high densities. Trouts like colder water in the range of about 64-68 F. A great tasting fish but need pristine water conditions to grow healthily. They have extremely fast growth ratios and are sensitive to pH changes. They would reach plate size in 12-16 months and are great aquaponic fish. Barramundi is one of the more majestic species of edible fish, they grow in warmer temperature and is a delicacy especially if grown in an aquaponics environment. A good choice for summer. Buy mature stock and harvest them by the end of the season. Crappies is one of the favorites for aquaponics as they develop really well in a closed loop system and they are very good to eat. Catfish is a popular species among fish farmers in the United States and Australia. Their meat is so smooth and tasty especially when steam cooked. They tend to be more sensitive to temperature, pH and water quality and can be harvested in 5-10 months. Silver Perch is a hardy native Australian fish and they can survive in high temperature variants. The downside is that they take a comparatively longer time to grow from fingerlings to adult size. Murray Cod is another great tasting aquaponics fish choice that is native to Australia. They grow to huge sizes in their natural environments. The downside is that they must be fed well or they would cannibalize each other. Large Mouth Bass is a popular freshwater game fish. Their diet include snails, water birds, snakes and other small mammals. They taste better when they are smaller/younger, however in an aquaponics environment, even adult fish taste good. Grows to plate size in 15-18 months. Crayfish is a freshwater crustacean of the lobster family that feed on living or dead animals and plants. They like fresh clean water. Yellow Perch or “Perch” as they are more commonly known, is a North America native fish. They are great aquaponics material and make delicious fish fries too. Koi is another ornamental species that will thrive in the aquaponics environment. This fish is a durable species and have strong resistance against common parasites. 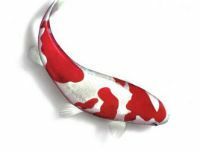 Koi can be eaten but not a favorite choice of dish as they have big scales and very bony. Gold Fish is generally pretty tough and can stand hard water conditions. Enjoys hot climates and are very suitable for aquaponics. A good choice of aquaponics fish if you do not intend to serve them as dinner. Gold fishes produce a lot of waste, which is good for aquaponics. Other ornamental fish like; guppies, swordfish, angelfish, tetras and many more others do well with aquaponics. You can even mix some of them together to make your fish tank or aquarium more colorful. Be dare to experiment with it. 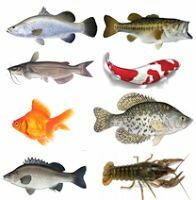 Now, it is important to bear in mind that the fish species you choose for your aquaponics will also determine the type of plants you would have for your aquaponics system and vice-versa alright. For example, if you had picked Trout as your aquaponics fish species of choice you would want to choose plants that grow well in cold weathers because Trout need colder climate and vice-versa. You know where I’m driving at right? Here are some aquaponic fish feeds I’ve found to be suitable for your aquaponics system. The Aquaorganic variant (the first image to the left) can be easily crushed to smaller pieces to be fed to fries or fingerlings. The second one is suitable for juvenile fish. The third is for intermediate size, 3 to 4 inches long if it’s Tilapia, Koi, Catfish, Bluegil and the like. The last is suitable for “grow out” fish that are more than 6″ long. The author of this book, Victoria Kelly has done an extensive research with universities and medical studies to come out with actual ingredients to help consumers make better decisions when buying fish feed. For $3.97 it’s a steal. Check it out now! Very good advice to pick the fish that work with your area. I have silver perch in my Aquaponics system as they can handle the hot summers and the cold winters here in Victoria, Australia. Brett, that’s great to know. I’m based in Malaysia so don’t have problem with the weather much…unless it rains too much and floods. Well, that rarely…never happens in my location. Glad you find this useful. My husband has an aquarium as he loves fish. I have mentioned your website to him and he’s really interested in what he can learn from you. Thanks. You are most welcome Jane. Just tell him to drop a line or two should he needs any further clarification on the blogs posts or articles. Thank you for the positive feedback, Clemmie…cheers!